If you’re a PC gamer in todays market, you will find yourself bombarded by items specifically aimed towards yourself, sometimes with very little justification for the “Gamer” branding; typically we find that the association stems only as far as a colour scheme. 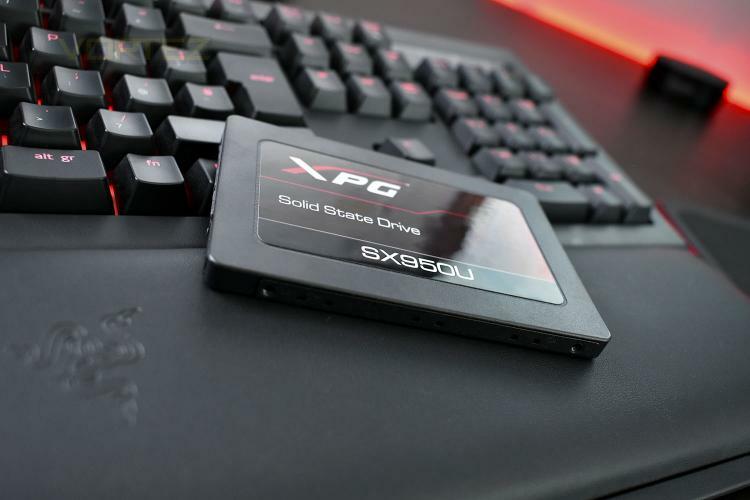 Having listened to that, today we’re looking at a new solid state drive from ADATA’s performance division, XPG; this SX950U SSD is available in 120GB, 240GB, 480GB and 960GB capacities and is aimed directly towards gamers. The SX950U makes use of 3D NAND flash as well as SLC Caching and a DRAM Cache to help improve speeds while LDPC ECC and RAID Engines ensure your data remains stable during prolonged gaming sessions, demanding absolute integrity. As previously mentioned, the “Gaming” branding is apparent with the black and red colour scheme, a popular style choice amongst many gamers. It’s difficult to imagine how this SSD could noticeably impact your gaming experience when compared to the vast majority of solid state drives on the market, but when compared to an HDD, the gains should be enormous. The SX950U is developed specifically for gamers, which utilizes the latest 3D NAND flash technology to boost system performance and provide higher reliability in comparison to 2D NAND solutions. The SX950U is equipped with Intelligent SLC Caching and DRAM Cache Buffer functions to address the challenges that gamers encounter by accelerating the read/write performance. To ensure data integrity and the safety of data transmission, the SX950U features LDPC ECC and RAID Engine technologies. The SX950U is designed to give gamers a mind-blowing gaming experience, allowing them to focus on their glorious victory on the battlefield!